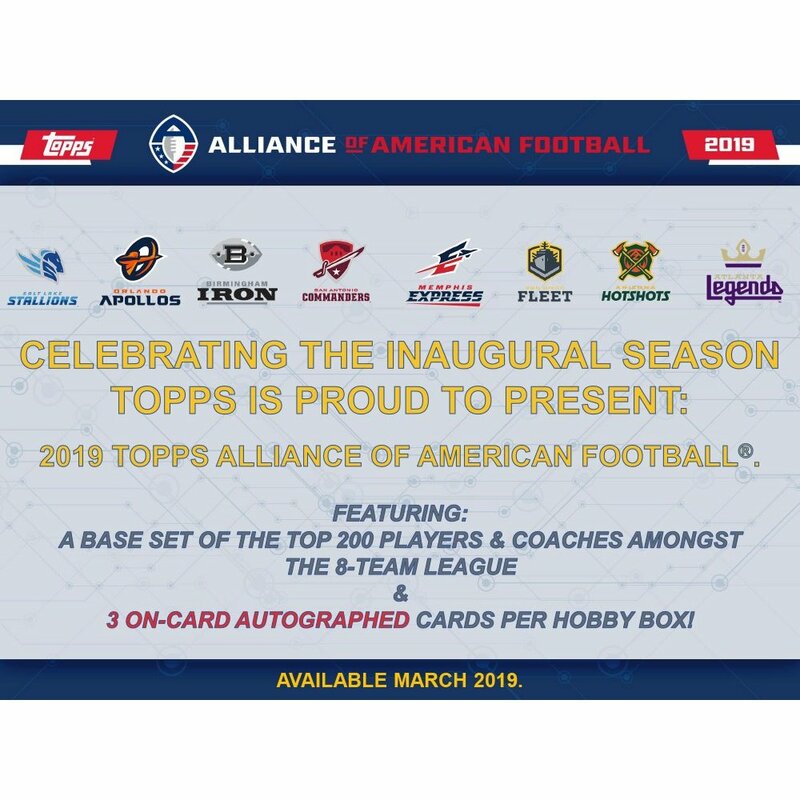 CELEBRATING THE INAUGURAL SEASON TOPPS IS PROUD TO PRESENT: 2019 TOPPS ALLIANCE OF AMERICAN FOOTBALL. FEAUTRING: A BASE SET OF THE TOP 200 PLAYERS & COACHES AMONGST THE 8-TEAM LEAGUE & ON-CARD AUTOGRAPHED CARDS! Featuring the top 200 players and coaches amongst 8 teams. Showcasing players like Aaron Murray, Christian Hackenberg and Josh Johnson and coaches like Mike Singletary and Steve Spurrier.